From our phones and lightbulbs to our ovens and televisions, electricity is at the heart of modern life. And with electrical appliances being so important, people who can build, repair, and invent new electrical technology are becoming increasingly valuable members of society. 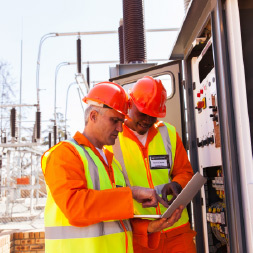 This introductory electrical engineering course will guide you through the essential basics of electrical technology and safety procedures and get your career moving. Electrical technology is everywhere. If you can gain skills in electrical engineering, you will be preparing yourself for a secure and well-paid career. This course is designed to start you on your path to becoming an electrical engineer. It starts by introducing you to important safety methods for working with electrical appliances. You will then learn about the different sources and elements of electricity, including voltage, current, A.C., and D.C. The course then guides you through essential electrical technology such as resistors, inductors, capacitors, and parallel circuits. Finally, you will learn about important electrical system concepts, including phase system power, energy, and power factors. By the end of this course you will have made a really strong step towards a career in electrical engineering. This is just the beginning, but with the skills you are starting to learn here you will have a strong résumé in front of you. No matter where you want to go in the world, there will be companies and customers that will value your abilities in this field. So why wait? Give your learning journey a real boost today. Having completed this ALISON online course you will be able to: - Understand how to be safe around electrical technology; - The basics of electrical technology.